Turnberry were one of the first companies to participate in the first polar plunge challenge in Africa. The polar plunge raises money for the Special Olympics. Turnberry sponsored one of their Brokers, who bravely took the plunge on behalf of Turnberry. Special Olympics South Africa and King David Linksfield hosted the very first ever “Polar Plunge” on the African continent on the 27th August 2017, and the brave plungers dived into the frigid waters of the King David Linksfield swimming pool. This annual fundraiser started in the United States has been supported over the years by a number of A- List American celebrities including Lady Gaga, Jimmy Fallon, Vince Vaughn, Dax Shepard, Alec Baldwin, Johnny Knoxville and Bill De Blasio, the Mayor of New York. 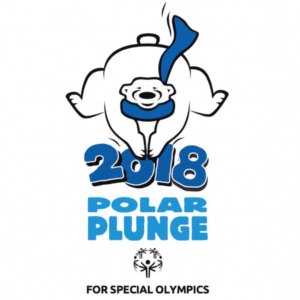 For this inaugural event in South Africa a number of local celebrities, sporting legends and CEOs committed to taking “The Plunge” in support of Special Olympics South Africa athletes and to raise funds for the organisation. Turnberry, founded in 2001, offers a range of products best suited to your needs, providing unsurpassed service, while at the same time helping you to avoid the potential financial burden of exorbitant medical expense shortfalls. Apply for Turnberry gap cover by contacting your financial advisor or contact us in order to refer you to one.